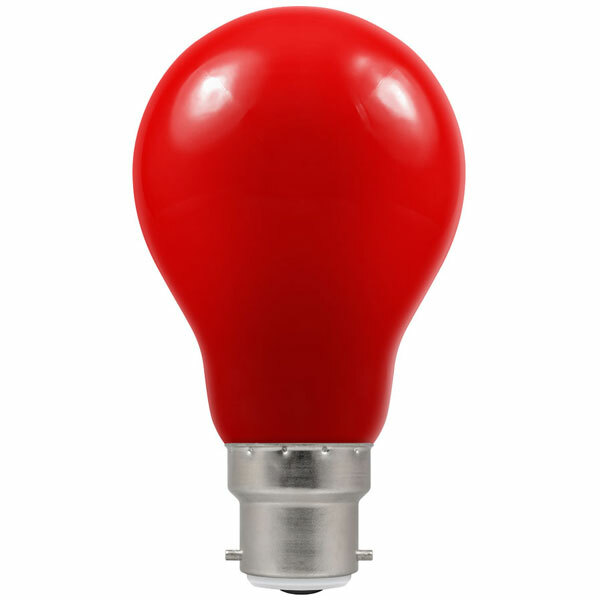 Crompton 1.5W LED Red GLS BC - Outdoor LED Coloured GLS shaped lamp, available with a choice of vibrant colours. The coating is applied internally and is fade resistant. The lamps are IP65 rated and when used with an IP65 rated socket they are ideal for outdoor applications where dirt and dust is encountered such as decorative strings and Christmas trees. They are also suitable for internal use.